Bavaria, Germany’s second most populous state, recently re-formed its previously dissolved border police. The Bavarian Grenzpolizei (German for “Border Police”) has been reconstituted in order to address crimes and immigration violations committed by the migrants currently flooding the Federal Republic of Germany. Bavaria’s experience provides an object-lesson for left-leaning American politicians who are calling for the abolition of U.S. Immigration and Customs Enforcement: Nation states must maintain the integrity of their borders but they also must enforce immigration laws against those apprehended in the interior of their territory. Otherwise, they send a clear message that once you dodge the border guards, all immigration law becomes meaningless. Germany is a federal union. It is composed of individual states, and a federal government, each with enumerated powers. Germany’s post-war constitution vested all law enforcement in the individual states – including immigration enforcement. Accordingly, German state police forces, known as Landespolizei are responsible for undertaking those functions which would be performed in the U.S. by the federal Department of Homeland Security. As a result, the Bavarian Border Police was absorbed into Bavaria’s Landespolizei in 1998. The Landespolizei maintained a tiny immigration unit responsible mainly for liaising with the Bundesgrenschutz (BGS), Germany’s paramilitary, federal border guard. However, in 2015-2016, Germany found itself overwhelmed by Middle Eastern, South Asian and African migrants seeking political stability and economic opportunity in the West. Despite concerns expressed by ordinary Germans, Chancellor Angela Merkel accepted over one million foreign nationals, most of whom lacked job skills, the ability to speak German, and any experience living in an advanced, industrial democracy. Bavaria was particularly hard hit by the so-called “Migrant Crisis,” finding itself overrun with illegal aliens hoping to obtain asylum in Germany. And while the Federal Office for Migration and Refugees regularly denied asylum claims, it rarely worked with enforcement agencies to ensure the deportation of applicants who were refused relief. In response, the Bavarian government took the eminently logical step of reconstituting the Bavarian Border Police. The force is responsible for patrolling the state’s lengthy borders with Austria, Switzerland and the Czech Republic, as well as a border zone that extends 30 kilometers into the interior. It also assists federal authorities with the deportation of those ordered removed from Germany. The re-deployment of an immigration-specific law enforcement agency hasn’t ended Bavaria’s immigration problems. But it has improved them. And it demonstrated a firm commitment upon the part of Bavaria’s political leadership to fulfilling the first responsibilities of government – protecting citizens and maintaining public order. 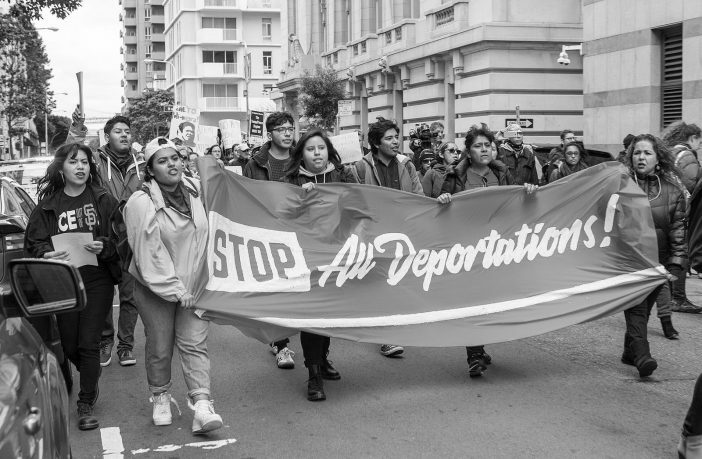 Abolishing ICE is a foolish idea that would endanger the very citizens American political leaders are sworn to protect. And American politicians could learn a lot by observing their Bavarian counterparts. This is so riddled with grammatical errors. I’m not sure I can actually trust someone who’s main job involves writing articles for his political group when he can’t use commas correctly. British Prime Minister Teresa May is exhibit A on why you cannot trust people to do what they promise, especially when they have already said they feel the other way. May was an opponent of the Brexit break with the EU but said she would carry out the wishes of the voters if they so voted. Brexit passed and May’s “conditions” are essentially worse than staying in the EU, so much so that several of her cabinet members have resigned. She would have Britain still under many EU regulations, allow EU members to fish in British territorial waters, all big issues in the vote, but Britain would have no representation at all in the EU parliament in Brussels. Naturally both Obama and Hillary were against Brexit with the usual aspersions cast on the voters as unsophisticated rubes who don’t know what’s good for them. As of yet, no tapes of Obama and Hillary have surfaced of the two of them disparaging Brit voters as “clinging to their tea and crumpets”. Then there was Obama’s threat that Britain would “go to the end of the line” in all future trade deals. Uh, should not the criteria for trade be whether it is good for the US? Instead of threatening people who happen to disagree with your globalist agenda? The media is all woe is us about Trump and his supporters. The publisher of the NY Times said he complained to Trump directly. So now comes news that the paper has appointed Sarah Jeong, of Asian descent, to the editorial board, in spite of knowing that in the past she has texted about “dumba## f###ing white people” and how they “smell like dogs” when it rains. Substitute any other ethnic group for white in those texts and see what happens. The media looks down with disdain on white Americans and then wonders why they are so hated. And there is the documentary series now on about Trayvon Martin with all the usual lies instead of the actual facts. The media has been running that same picture of Martin in the hoodie when he is no more than 12 years old in that picture. It’s fake news, pure and simple, to make it look like he was some helpless kid. There are pictures available of the 6 foot muscular 17 year old he had become at the time, but those don’t fit the agenda. Again, pure propaganda. I remember reading that Munich had a significant reduction in the number of people attending their annual Oktoberfest celebrations which brings in a lot of tourist dollars because people were concerned about crime. We need more ICE agenst to protect our border or we will be as bad off as Europe!